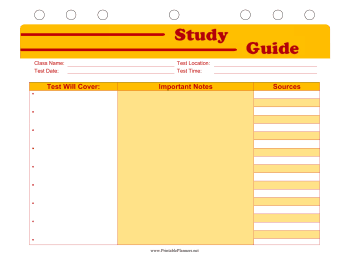 Students who are preparing for important tests will enjoy this free, printable study guide. Kids can fill in the class name, test location, test date and test time. Important notes and subjects that will be covered have their own sections, along with a place to record sources.